Phil Urso (2 October 1925, Jersey City, New Jersey — 7 April 2008, Denver, Colorado) was an American jazz tenor saxophonist and composer, perhaps best known for a long association with Chet Baker. Urso learned clarinet as a child and switched to tenor sax while in high school. He served in the Navy during World War II and then moved to New York City in 1947. There he played with Elliot Lawrence (1948–50), Woody Herman (1950-51), Terry Gibbs, Miles Davis (1952), Oscar Pettiford (1953), Jimmy Dorsey, and Bob Brookmeyer (1954). 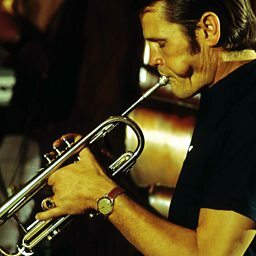 In 1955, he first began working with Chet Baker, and was a prominent contributor to Baker's Pacific Jazz releases in 1956. Urso and Baker would collaborate sporadically for some 30 years. Urso worked with Claude Thornhill late in the 1950s, but receded from national attention in later decades. He moved to Denver and continued performing locally into the 1990s.